FACT CHECK: Does Amazon.com employ paramedics at hot warehouses because it’s cheaper than supplying air conditioning for overheated workers? Claim: Amazon.com employs paramedics at hot warehouses because it’s cheaper than supplying air conditioning for overheated workers. Origins: On 15 August 2015, the New York Times published an in-depth, widely discussed piece about online retailing giant Amazon.com titled “Inside Amazon: Wrestling Big Ideas in a Bruising Workplace” (subtitled “The company is conducting an experiment in how far it can push white-collar workers to get them to achieve its ever-expanding ambitions”). Elmer Goris spent a year working in Amazon.com’s Lehigh Valley warehouse, where books, CDs and various other products are packed and shipped to customers who order from the world’s largest online retailer. The 34-year-old Allentown resident, who has worked in warehouses for more than 10 years, said he quit in July because he was frustrated with the heat and demands that he work mandatory overtime. Working conditions at the warehouse got worse earlier this year, especially during summer heat waves when heat in the warehouse soared above 100 degrees, he said. He got light-headed, he said, and his legs cramped, symptoms he never experienced in previous warehouse jobs. One hot day, Goris said, he saw a co-worker pass out at the water fountain. On other hot days, he saw paramedics bring people out of the warehouse in wheelchairs and on stretchers. During summer heat waves, Amazon arranged to have paramedics parked in ambulances outside, ready to treat any workers who dehydrated or suffered other forms of heat stress. Those who couldn’t quickly cool off and return to work were sent home or taken out in stretchers and wheelchairs and transported to area hospitals. And new applicants were ready to begin work at any time. 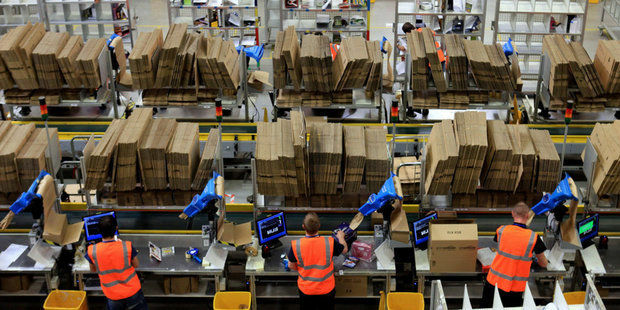 Amazon declined to answer the newspaper’s specific questions about working conditions in the warehouse but, eight months after the story was released, company officials announced that they’d spent $52 million to retrofit warehouses with air conditioning. In the case of the Pennsylvania warehouse, after The Morning Call published an in-depth look at the appalling conditions the company spent $52 million adding air conditioners there and at other facilities around the country. It had been mistreating low-wage workers who had few options, and it deserved to be shamed into changing its behavior. So while Amazon was widely criticized in 2011 for heat conditions in a Pennsylvania warehouse, the company has since installed air conditioning at that warehouse (and several other facilities).